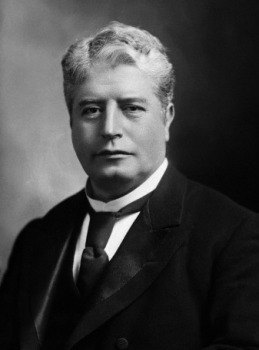 Sir Edmund Barton (1849-1920) was Australia’s first Prime Minister. He was a committed campaigner for the federation of the Australian colonies, so that they would be united together as one nation, and was a staunch advocate of a White Australia policy. Barton was determined to introduce a White Australia policy, to ensure the survival of the Australian people. However he faced some obstacles with the British government, due to India being a major component of the British Empire, and because of British foreign diplomatic dealings with countries like Japan; the British did not want to complicate or endanger those ties due to an Australian law which barred non-Whites from entering the country. Under the terms of the Australian constitution, the UK government was able to render invalid any Australian law (a standard colonial clause, which had been used against the governments of various British colonies, including several in Australia). Therefore, led by Barton, the Australian government decided to use a “dictation test” to regulate immigration, using the test to prevent non-White people from coming into Australia; this method had previously successfully been used by the British colony of Natal as a way of getting around the sensibilities of the British government. Although the “dictation test” clause in the Immigration Restriction Act aroused some opposition from those who wanted a straight-forward colour bar, the majority of parliamentarians understood and appreciated the realities of the situation and therefore voted for the Act with the dictation test included. “Mr. Chamberlain said the Home Government sympathized with our determination to prevent the influx of these hundreds of millions of Asiatics, alien in religion and alien in customs, whose influx would most seriously interfere with the legitimate rights of the existing labour population. He understood that an immigration of that kind must be prevented, and stated that his Government would not offer any opposition to proposals intended with that object. He asked us to bear in mind the traditions of the Empire, and pointed out that to exclude, by reason of their colour or race, all Her Majesty’s Indian subjects, or even all Asiatics, would be an act so offensive to those peoples that it would be most painful to Her Majesty to have to sanction it. He said that they, who had seen these Hindoos, could not be willing to put upon them a slight absolutely unnecessary, and calculated to provoke ill-feeling, discontent, and irritation.
. . . That Act was passed without special reference to British subjects, it was passed for the exclusion of Hindoos. It was as well known to Mr. Chamberlain as it was at the time to the Premier of Natal, Sir Harry Escombe, that the Bill was to be passed with that object. I will show presently that it was understood in that sense by my right honorable and learned friend, the leader of the Opposition in this House. The Natal Coloured Races Restriction Bill of 1896 was passed before the conference took place in London, but it did not receive the Royal assent. And why? Because it specifically professed to exclude people by reason of their race and colour. Whatever had been assented to in the past with regard to Chinese, it was felt by Her Majesty’s Government that international complications were likely to ensue, if they would not necessarily ensue, by excluding people on a mere colour line. That is why the Bill finally passed by the Natal Legislature was spoken of as a proper one by the representative of the Queen’s Government. The Coloured Races Restriction Bill, laying down a proposal very similar to that now wished to be laid down by the honorable member for Bland, did not receive the Royal assent, and a preference for a class of legislation which would not create complications either within or without the Empire was sufficiently indicated by Mr. Chamberlain.
. . . I have never wobbled or wavered upon this matter from the beginning to the end, and wherever I have had to express an opinion on the influx of undesirable immigrants, I have always expressed myself as strongly against it. I am ready to do as much, if not more than anybody else, to prevent such an influx. I do not agree with the honorable and learned member for Parkes, who said that the tendencies of this kind of immigration were not dangerous. I do not think either that the doctrine of the equality of man was really ever intended to include racial equality. There is no racial equality. There is that basic inequality. These races are, in comparison with white races — I think no one wants convincing of this fact — unequal and inferior. 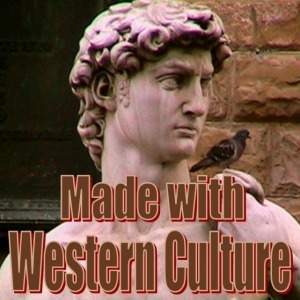 The doctrine of the equality of man was never intended to apply to the equality of the Englishman and the Chinaman. There is a deep-set difference, and we see no prospect and no promise of its ever being effaced. Nothing in this world can put these two races upon an equality. Nothing we can do by cultivation, by refinement, or by anything else will make some races equal to others. I do not want to lay down with too much preciseness any of these differences, because there is not one amongst these races whom I wish to hurt or wound.
. . . The Bill which we propose will provide equal effectiveness so far as experience can guide us. There is no threat of injury to us if we take the course proposed, but certain delay and possible refusal, if that refusal is to be grounded upon the doctrine of the trusteeship of the head or seat of the Empire for the rest of the Empire, which doctrine was laid down in the course of our visit to England last year, and to that extent rightly and properly laid down. “With regard to a “White Australia” — (cheers) — the Emigration and Restriction Acts have effectually, and will effectually, stem the tide of coloured emigration, and will do so without incurring the cost of complicating the internal or the foreign relations of the Empire to which we belong. (Cheers.) I have been asked by many why I did not support the amendment upon the bill shutting undesirable emigrants out solely on the ground of their colour. My answer has been this, that all undesirable emigrants of whatever character and whatever colour can be effectually excluded by such a test as has been placed in the Act, and they can be effectually excluded without, in any sense, endangering the stability of the Empire, or our relations with that Empire of which, if you are not, I am proud to belong. (Cheers.) That is the object of the Immigration Restriction Act. It is true that I resisted an amendment designed to base the exclusion of certain unsuitable emigrants on the ground of their colour or origin. The Act is strong enough to exclude all undesirable immigrants whatever their colour or origin; but more than that, we knew that there was danger of such an Act being delayed before it received Royal assent, on account of the form in which we were asked to put it, unless we followed certain precedents which had proved effective, not only in Natal, but in various Australian States. It remained for the federation to take final steps to make this legislation effective here over a whole continent. The other branch of this legislation was the Pacific Islanders Bill, otherwise known as the Kanaka Bill. The traffic had gone on for over 40 years; and year after year, almost for 40 years, the leading men of Queensland had been expressing their shame of it. Acts had been passed limiting the traffic as to time. An act to limit it to five years, from 1885 to 1890, had been passed in Queensland. When it ran out, and when the traffic was about to be stopped, the distinguished statesman who was the author of it brought in two years after, in 1892, another act to give it extension, and to justify the omission of any limit of time for the continuance of traffic by saying that if the time limit was to be put on that would acquire the dimensions of vested interests, and we did not want it to become a vested interest. Well, that limit of ten years would have expired in this year. Now, sir, we took the whole circumstances into consideration. We saw that there was a feeling in Australia which well might heartily be shared, that the time was come to set a limit to any immigration which would conflict to our own feeling; that we should preserve our country for the whites — (applause). We saw, too, that a great deal had been said about the necessity for this black labour which had no foundation. In fact, any difficulties in the act we had tried to meet by giving tariff encouragement, which would do away with the necessity for the employment of black labour — (applause). We therefore, passed in the first place a bill limiting the introduction of this labour in a diminishing quantity to a period of two years and a quarter from January, and preventing the continuance of any contract to employ this class of labour after 1st December, 1906. “there was the Post and Telegraph Act, a measure of 159 clauses . . . It was the subject of serious discussion in respect to section 16, which was the first instalment of the white Australia policy of the Government. That section provides that only white labor shall be employed in connection with contracts or arrangements for the carriage of mails entered into by the Commonwealth. That will apply to our oversea mails, because we do not intend to spend our money on companies that employ Africans and others.
. . . The Immigration Restriction Act was the last measure to complete the white Australian policy, to stop colored people from over-running the Commonwealth. It was found necessary to take advantage of the provisions in the Natal Act. At the conference in 1897, which Mr. Reid attended, it was agreed by the Premiers to introduce legislation in conformity with that Act, and Mr. Reid did so on his return. When, however, I proposed to introduce similar legislation I found Mr. Reid and Sir Wm. McMillan arrayed against me.
. . . I would like to give you some figures about the Alien Immigration Restriction Act from January 1 to October 31. The whole of the colored people who have been admitted to the Commonwealth on passing the test numbered 28. Those admitted without the test were 205, together with 1,034 under certain State arrangements. Those arrangements were permits given to the Chinese by the various States to visit China and return. The Commonwealth was bound to honor those pledges the State entered into before Federation. Queensland had an agreement with the Japanese Government at the time the Federation came into force to take a number of Japanese to keep up the number of those who were already in Queensland, and that was to go on.